Jalisco Milksnake is the common name of the snake and Lampropeltis triangulum arcifera being the scientific name. It is yet another member of the Milksnake family and of Mexican origin. 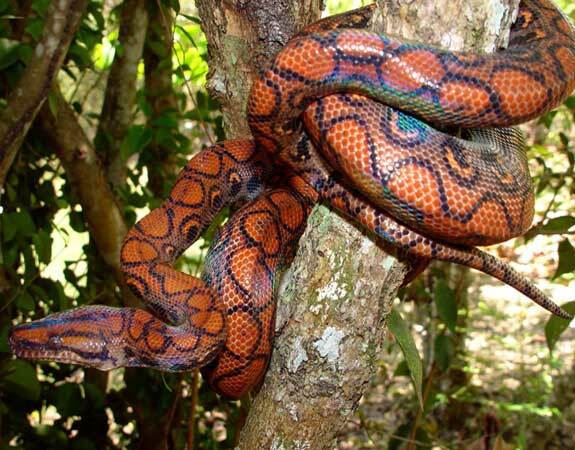 A red belly, a black head and red rings, commonly distinguishes the snake. It is normally 36-42 inches or 4 feet long. It possesses yellow, black or red bands with shiny and smooth scales. Commonly found at Lake Chapala located in southwestern Mexico. It also adapts well in Guerrero, western Mexico plateau, Jalisco, Morelos, Michoacán, Querétaro and Hidalgo. The snake adapts well in arid subtropical shrubs, pine-oak woodlands and mesquite grasslands. They are also common in forested regions, rocky slopes and open areas. It is active during the day but more so at night and is primarily is terrestrial. It matures at about two years and starts hibernation during the second winter from about November to March. The male produce sperms one week after hibernation and the sperms can be stored for up to one year. The female lays eggs six to ten days later. The post-egg-laying and gravid females should be fed with small food items. After 5 days of egg laying, the male is returned back to the second clutch. The breeding age varies from 2-10 years and the period of breeding and egg laying lasts from 26 to 49 days. The clutch size differs from four to sixteen and the species normally has double clutches per season. The incubation period lasts between 58 to 76 days. It is a rare species in most captive collections. 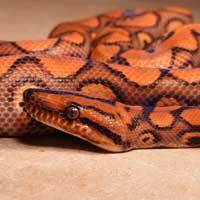 Advanced collectors are the main people who have this species of snake in captivity. Its general life span is an average of 0 to 15 years with 20 years being the maximum. When in captivity, it should be kept in an aquarium with an escape-proof lid, windows that allow sufficient lighting, aspen bedding and a bottom layer of sand for the Jalisco Milksnake.